Chain guide composed of TPU, excellent in wear resistance and restorability and duralumin plate with CNC processing. Reduce the load on the swing arm attachment stay by using TPU material that is durable against impact and wear. 3D design slider reduces the impact of the debris coming from all directions. Maintains its guiding performance that requires rigidity by a duralumin plate designed exclusively for the model. 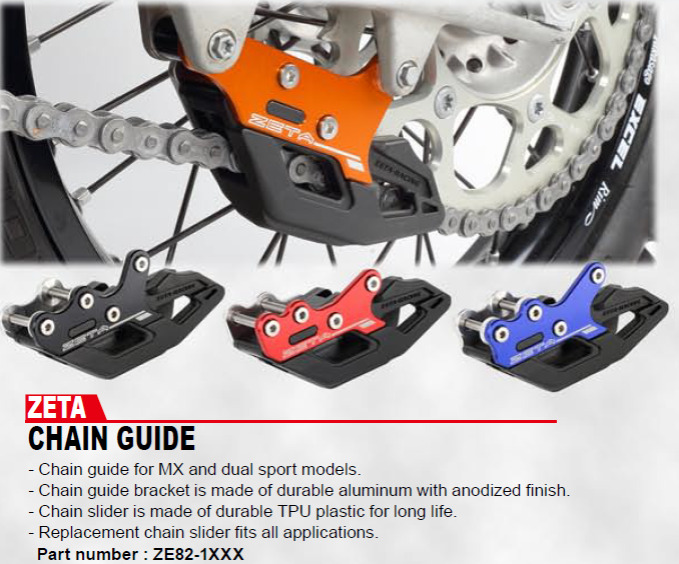 The replacement chain guide block covers all line-up models.